Anna Woolhouse is joined by Andy Clarke and Fabio Wardley to bring you the latest news from boxing and answer some of your tweets. Toe 2 Toe is available every week on iTunes and skysports.com. This week, Anna Woolhouse and Andy Clarke are joined by heavyweight guest Fabio Wardley. Dillian Whyte explains why Anthony Joshua rematch has not been made and who he wants to fight instead. 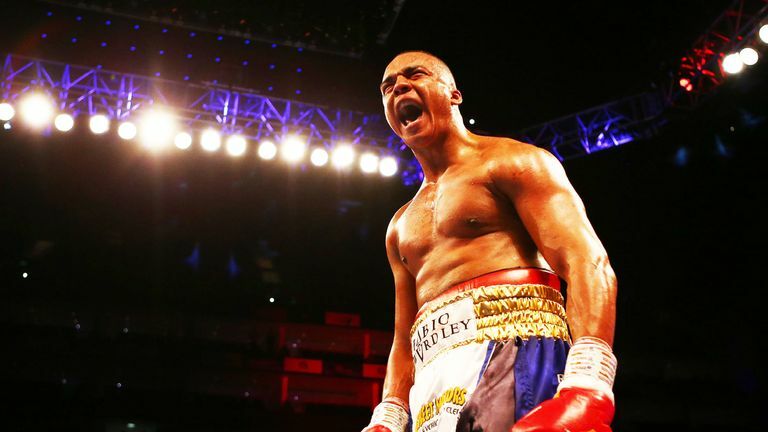 Fabio Wardley reveals his unconventional start to boxing and what he hopes to achieve as a professional. Eddie Hearn discusses Ted Cheeseman's brave defeat to European champion Sergio Garcia on Saturday. Joshua Buatsi looks ahead to his British title fight against Liam Conroy - and says it is a crucial step in his career. George Groves reflects on his decision to retire from boxing and a career that had plenty of drama. US Round-up: Michelle Joy Phelps has all the latest news on Wilder Fury II, Kovalev and Golovkin.